I just recently returned from France to my home in Atlantic Canada. It was my first time in the country, and I was glad to have spent it within the lush, rolling pastures of Normandy, made famous through the artwork of impressionist par excellence, Claude Monet, during his years in Giverny, long before the Allied liberation I was there to commemorate. Impressionism happens to be one of my favourite genres of art due its resonance with my philosophical appreciation for David Hume. Hume believed that our aesthetic standards, much like our moral ones, derive from inner sentiments that project approbations on our “sensory impressions”. 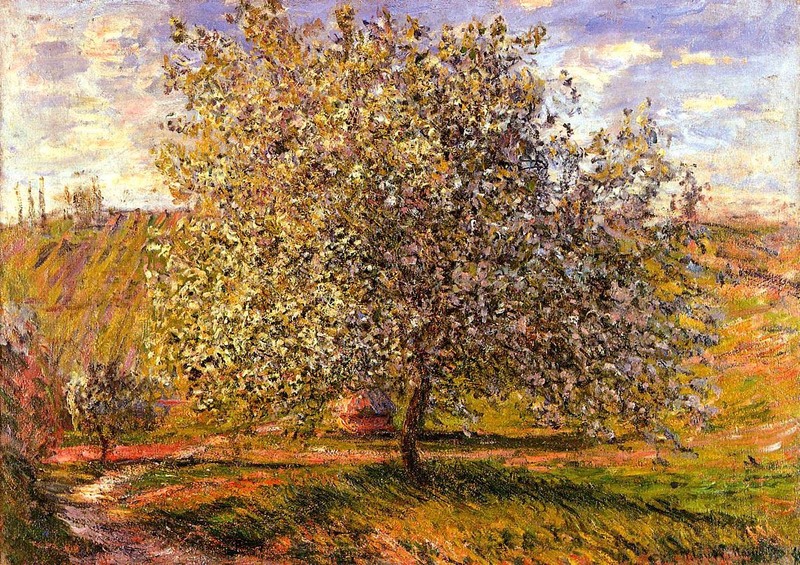 The snap-shot framing common in impressionism even mirrors Hume’s empiricism, with each short, thick brush stroke as a ray of light, a sense datum within our kaleidoscopic perception. Beauty, Hume maintained, does not realize itself by ideas, but by a conformity between the object and our inner sense. As he wrote in the Standards of Taste, “beauty and deformity, more than sweet and bitter, are not qualities in objects, but belong entirely to the sentiment, internal or external; it must be allowed, that there are certain qualities in objects, which are fitted by nature to produce those particular feelings.” That “nature” we know to be biological evolution, which cross cultural surveys suggest has predisposed us to relish, among other things, the sight of an evergreen landscape, presumably for its signal of hydration and plenty. Beauty, then, really does grow on trees. But how do we reconcile this with Adam’s point in his discussion with David that all art is a conversation which necessarily requires a group with shared concepts and ideas? Some years ago I was privileged to attend a performance by Ram Gopal, the great Indian classical dancer, and I was quite captivated by the exhilarating and exquisite quality of his movements. Yet I was unable to appreciate his dance artistically since I could not understand it. For instance, there is a great and varied range of subtle hand gestures in Indian classical dance, each with a quite precise meaning, of which I knew none. It is clear that my appreciation was aesthetic, not artistic. This formulation isn’t only applicable to humans. 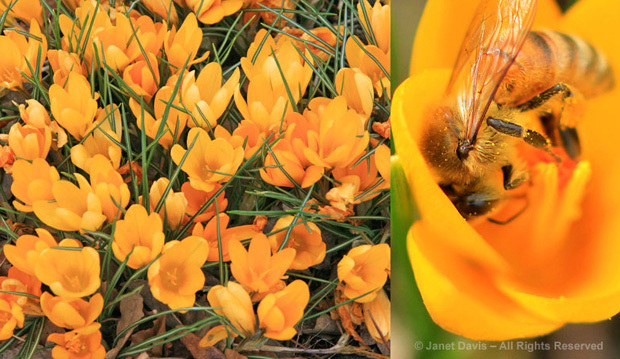 If you’re ambitious, try to imagine the wonderful aesthetic sensations honey bees must experience upon receiving the ultraviolet sense impressions of a pollen laden Golden crocus, before returning to the hive, and transmitting said beauty through the artistic medium of the waggle dance. While the sentiment produced by the flower may be immediate and personal, the dance only works to communicate because each specie of bee has a genetic understanding of their particular waggle dance rules. So in some sense David and Adam are both right. Adam is right that art can never be a private affair — it, by its very nature, is a social practice. Yet David wasn’t deluded when he reported experiencing aesthetic delight upon his introduction to anime, because the latter feeds up into the former. For without that shared evolutionary heritage, the conversation could never begin. I’m Samuel by the way, and am pleased to be joining the Sweet Talk team. You can follow me on twitter @hamandcheese and I run an independent blog called Abstract Minutiae, where I try to bridge the conceptually near and far from using the ideas of Quine and Hayek. I’m also an economics student, commencing my MA in the fall. Cheers.